Vibriosis is an illness caused by a bacteria known as Vibrio. The bacteria is found in ocean and brackish waters. The majority of infections occur from late spring to early fall when the ocean water temperature is higher. Large outbreaks of vibriosis are rare, but smaller local outbreaks do sometimes occur. The majority of cases occur in isolation. Symptoms of vibriosis include watery, sometimes bloody diarrhea, abdominal cramps, nausea, vomiting, fever, chills, and headache. Symptoms usually appear 12–24 hours after eating raw or undercooked seafood that contains the bacteria, and last for 2 to 5 days in otherwise healthy individuals. Wounds or cuts exposed to seawater or seafood drippings can also become infected, causing the wound to become red, swollen, or painful. People with weakened immune systems, liver disease, and other underlying illnesses are at risk of more severe disease. Severe infections can result in limb amputations or death. You can get vibriosis by eating raw or undercooked fish or shellfish, especially oysters, or from food that has been contaminated with raw seafood drippings. You can also become infected through cuts or wounds that are exposed to brackish water or seawater. Doctors can order tests to detect the bacteria. Vibriosis is diagnosed when the Vibrio bacteria is found in the blood, stool, or wound of a patient who has symptoms compatible with vibriosis. Severe diarrhea and/or vomiting may cause the body to lose fluid too quickly. Lost fluids should be replaced by drinking liquids such as fruit juices, soups, and special fluids called oral rehydration salts. Doctors may also prescribe antibiotics for certain cases. Any wound that becomes very painful, swollen or red requires immediate medical attention. 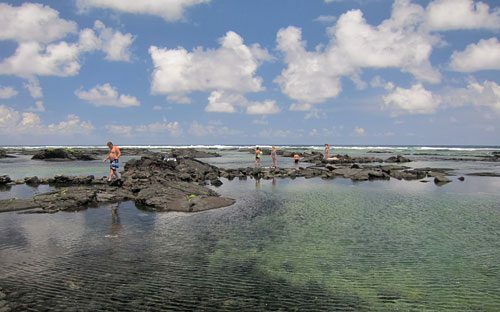 Vibriosis is a rare illness, and approximately 20 to 40 cases are reported every year in Hawaii. 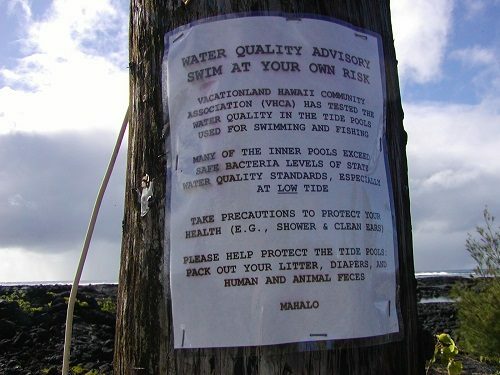 Infections can occur after exposing cuts or wounds to brackish water or seawater in Hawaii, or after consuming local or imported raw or fish and shellfish. Avoid eating raw or undercooked fish and seafood, especially if you are immunocompromised or have other underlying medical conditions. Wash your hands after handling raw fish or seafood. Keep raw shellfish and fish separated from other foods. Avoid brackish and salt water if you have an existing wound. Wash wounds and cuts with soap and water if they have been exposed to seawater or raw seafood or its juices. If you are immunocompromised, have liver disease or other underlying medical conditions: wear clothes and shoes to protect yourself from cuts when in brackish water or seawater, and wear gloves when handling raw seafood. Vibriosis is a ROUTINE/ENTERIC (enteric prevention priority) notifiable condition and must be reported by phone if the individual is a food handler, direct care provider, or pre-school aged child. Otherwise routine reports may be used.